The Mailbox Restore functionality of Macrium Reflect Server Plus allows you to restore individual emails from a backup of Microsoft Exchange. This is useful if your backup contains some vital emails or attachments, but you don't want to have to restore the whole Exchange server in order to access them . Mailbox Restore can restore emails, appointments, contacts, journal entries, notes and tasks. Whenever this knowledgebase article describes restoring "emails", any of these can be restored in the same way. In order to restore an email using Mailbox Restore, the edition of Microsoft Exchange running on the target server must be the same as the original server. 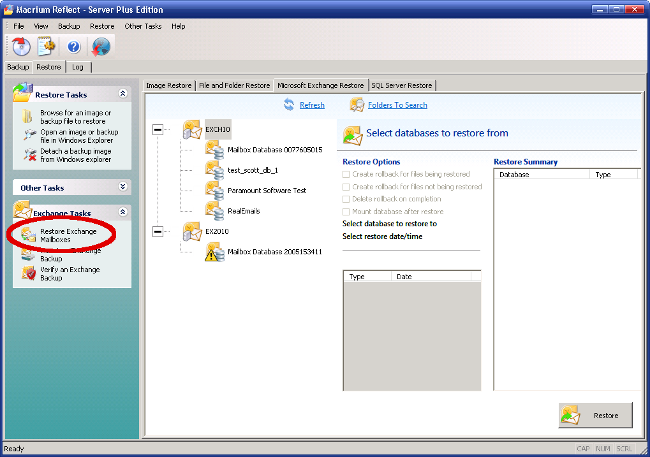 An email backed up on a server running Exchange Server 2007 can be restored onto other servers running Exchange 2007, but not to a server running Exchange 2010. A mailbox needs to exist on the target server, with the same name as the original mailbox. 1 . Start up Reflect. Go to the Restore tab, click on "Microsoft Exchange Restore", and click "Restore Exchange Mailboxes". message store / database, and the Exchange backup to restore from. 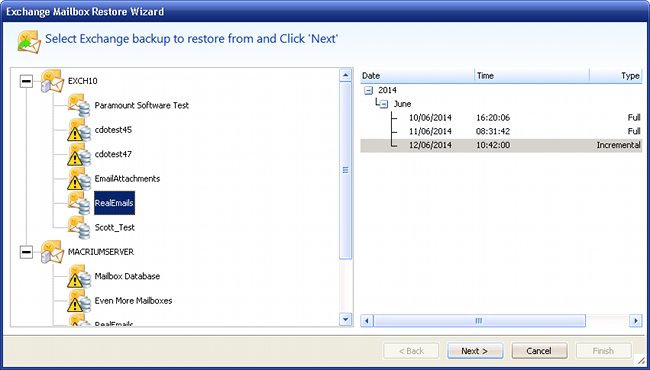 After selecting a backup, click "Next". 3 . 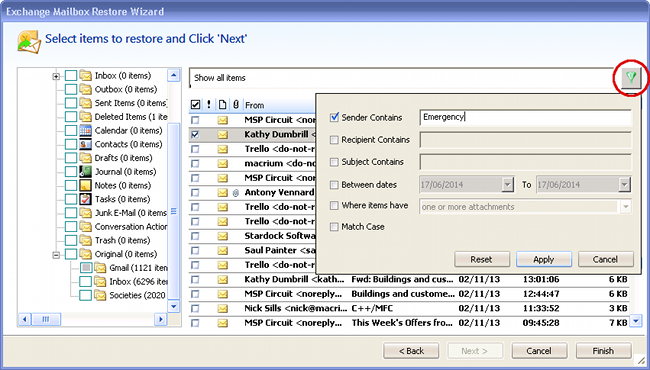 Once the backup has mounted, the wizard will show a tree view of all the mailboxes within the chosen message store or database. 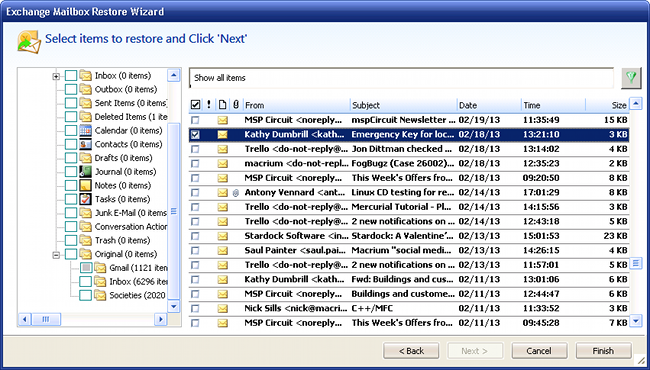 You can navigate through the tree view, and select entire folders to restore, or can click on a folder to display and select individual emails. This email list can be filtered by sender, recipient, subject, date sent, or whether there are attachments. 4 . Once the emails you wish to restore have been selected, click the Finish button. The selected emails will be restored to their original mailbox. Any subfolders will be created as necessary. Article has been viewed 6,324 times.